Since 1968, over 84 men and women have risen through the ranking system to achieve Black and Brown Belts. In 1980 the 1st European Championships were held in Jersey. Since then and up to the present day Jersey Kenpo has sent many teams to the annual championships achieving a staggering total of 326 trophies and medals and hundreds of senior and junior European Champions. 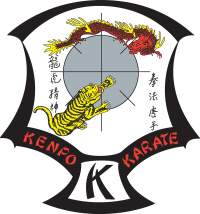 Jersey Kenpo has strong ties with the local community youth service and schools giving hundreds of demonstrations over the years at fetes, trade fairs and exhibitions and in raising thousands of pounds for local charities, a club that ‘makes it happen’ for its students.